Cutest thing to have happened to me since I took the blogging plunge a couple of weeks ago: being nominated by the lovely Jess of Waiting on a Word and Allison of The Wannabe Writer Life for two Liebster awards (‘liebster’ coming from the German word for ‘favorite’ or ‘dearest’ – aww! I’ve loved reading Jess and Allison’s stuff so far and can’t wait to see what they come up with next.) There’s no actual prize, it’s just kind of the blogging gift that keeps on putting smiles on faces. I was JUST thinking recently that we really need to bring back those Hotmail questionnaires (‘What’s worse: barfing on your date or your date barfing on you?’…I lifted that DIRECT from a 2002 email I have saved). So…here goes! 1. Post 11 facts about themselves. 2. Answer the 11 questions they’ve been asked. 3. Nominate 11 other blogs and ask them 11 questions of their own. 4. 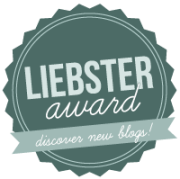 Display the Liebster Award logo. 1. I love reading so much I read books about books. And libraries. And reading. 5. I’m still convinced I’ve missed a calling to the Broadway Stage. Nevermind the fact that I almost made someone cry because I refused to stop singing along to the Rent soundtrack. 7. My favorite thing to cook is pasta. Alllll kinds of pasta. 8. I’m perpetually cold in London. Yes, I’m from Canada. Canadians get cold too. 4. What is your favorite book and why? Trying to name my favorite fiction novel always gives me heart palpitations so I’ll stick with non fiction: Mort Rosenblum’s Little Bunch of Madmen. 7. If you could date anyone in the Ocean’s Eleven cast, who would you pick? I’ve sat here for TEN MINUTES and CANNOT ANSWER THIS QUESTION. Can it be an alternating speed date? 8. Is Hillary Swank “hot”? Hmm not the first word I’d use, she’s def fierce! 1. Who is your favourite character (book, play, movie, or TV) of all time? Why? This is almost as difficult as the Ocean’s Eleven question. Literary answer: Amory Blaine from Fitzgerald’s ‘This Side of Paradise’, not because of his pretentiousness and prissy character but because I read it at a time when I knew what it felt like to be on the cusp of graduation with a big wide world waiting and a lot of his thoughts resonated with me. Disney answer: Mulan. Girl power!! 2. If you had a time machine and could travel anywhere in the world at any point in time, where/when would you go? Probably 1960’s America. Or Paris in the 20’s. Or Spain during the Civil War, a la Martha Gellhorn. 3. Why do you blog? 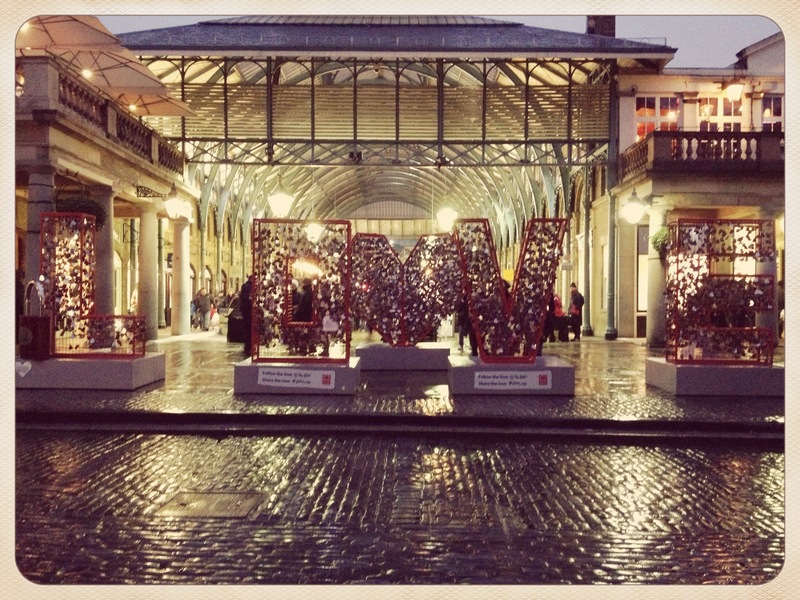 To share – too much awesomeness in London to keep it all to myself! 7. What was the last song that got stuck in your head for days? One Direction’s ‘Rock Me’. I have sisters and friends and a boyfriend ALL collectively to blame for this. 10. If you could pick a superpower for yourself, what would it be? Teleportation – instant travel power! 1. If you could live anywhere else in the world, where would it be and why? 2. First website you open in the morning? 4. If you could be famous for any reason, what would it be? 5. What’s something you’re looking forward to in the near future? 6. Current TV show obsession? 8. Share something quirky/interesting/random that you learned in the last week? 11. Which birthday was your favorite? This entry was posted in Uncategorized and tagged blogging, Canadian, Liebster Award, London, writing on February 24, 2013 by CatherineTs. Today, my London best friend got engaged. It happened in Rome, though she lives in DC and is originally from California. International enough to make your head spin, but that’s the nature of a growing number of friendships nowadays – ones that span oceans and continents and Skype connections and snail mailboxes. For the rest of the day, I had a smile on my face. I didn’t mind minor annoyances at work. I didn’t mind the weather claiming to be +9C but feeling like -5C. I only minded a little when an obnoxious Arsenal fan threatened to push me over on the Piccadilly line. Because my mind was far away, with someone I care about, who was over the moon. In the last year or so, I’ve been the recipient of this kind of news a few times (erm, obviously from different friends). In each case, my reaction was like nothing I can quite describe – a swelling happiness, accompanied by a pronounced soreness of cheekbones, mixed in with a nagging feeling that actually we’re not old enough for all this yet and weren’t we just in high school dancing to Crazy in Love?! Truth be told, I’ve yet to experience this whole thing in person, rather than over Skype or WhatsApp or BBM (serious sadface). The hardest part about living in London, hands down, is being away from my friends (and even worse, family, but that goes without saying). Missing things. With weddings in particular – arguably one of life’s most significant events – it really hits you. So far, due to lack of flying funds or holiday days or both, I’ve had to miss the weddings of my cousin and three extremely good friends. It hurt my heart a little each time. I’m not sure where I’ll end up after I’m all done here, but I’ve decided it is imperative that the criteria include ‘being able to fly home for a long weekend without bankrupting myself’. It’s all well and good to be able to sift through the Facebook slideshow after the fact with popcorn and Kleenex, but I’m gonna go out on a limb and say that can’t compare to the real thing. In the meantime, well, there is that Skype connection. And the awesome feeling you get when you know others are miles away but in the same mindset and thinking about the same thing (as I type this, I’m simultaneously chatting with friends in Cardiff and Vancouver about today’s news and related subjects too mortifyingly girlish to put into the public sphere). In some cases I truly believe the distance makes you try harder, care deeper, and keep more up to date with the goings on in your friends’ lives than you might otherwise if you had them down the street. 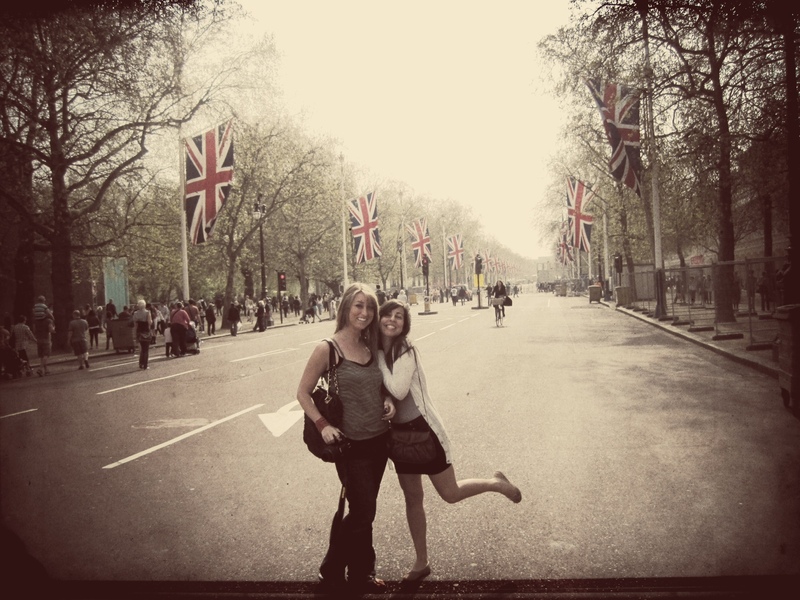 In this particular case, I never would’ve made a London best friend had I not crossed that ocean in the first place. And with enough holiday days in the system, there’s a very good chance I’ll be making this one in person. You know, where there’ll be other people to dance with, ineffective glass doors being a thing of the past. To everybody else…let’s not all rush down the aisle in one unruly mob. I promise to be home before you know it. This entry was posted in Uncategorized and tagged engagement, friendship, London, long distance, weddings on February 19, 2013 by CatherineTs. Overhearing the words while meandering through the walkways of Camden Passage Antiques Market, I looked back at the stall keeper and his wife who were asking, half assuming they were talking to me. The question, one I’ve heard many times since I’ve been here, means ‘Are you Greek?’ As it turns out, one can’t actually tell this information from the back of my head, and they were speaking to a younger man about my age, who was peering at the jewelry spread out on their table. The answer was in the affirmative, and I heard the delight in the older couple’s voices – the recognition and immediate kinship with someone they had never met and otherwise knew nothing about. This didn’t matter, and the couple spoke to the young man as if he were their own grandson. He beckoned a girl over who he introduced as his sister, and then inquired as to the price of a piece that had struck their attention. ‘Den peirazei’, the older woman answered; doesn’t matter. Don’t worry about it. Brief protestation, but the couple would have none of it. Smiles and warm wishes, and then the man and his sister were gone. I wanted to turn around and speak to the stall owners, but the exchange seemed so intimate and complete as was that I was wary of bursting in with a ‘Hey guys, me too! !’ Plus my own such moments have been plenty, most recently at the Pret a Manger near work, when I noticed the man behind the counter had a nametag that said ‘Terry’ but that ‘Eleftheros’ flashed up as his log in on the till. ‘Are you Greek?’ I asked, guessing the answer. Now every time I go in, we exchange a couple of words, me stumbling over my Canadian accent, and somehow it feels like talking to an old friend. This is obviously not at all the case, but still makes me smile – the idea that in a country that’s not your own, you can find a living bit of your heritage behind a cash in Pret or a market stall in Camden Passage. 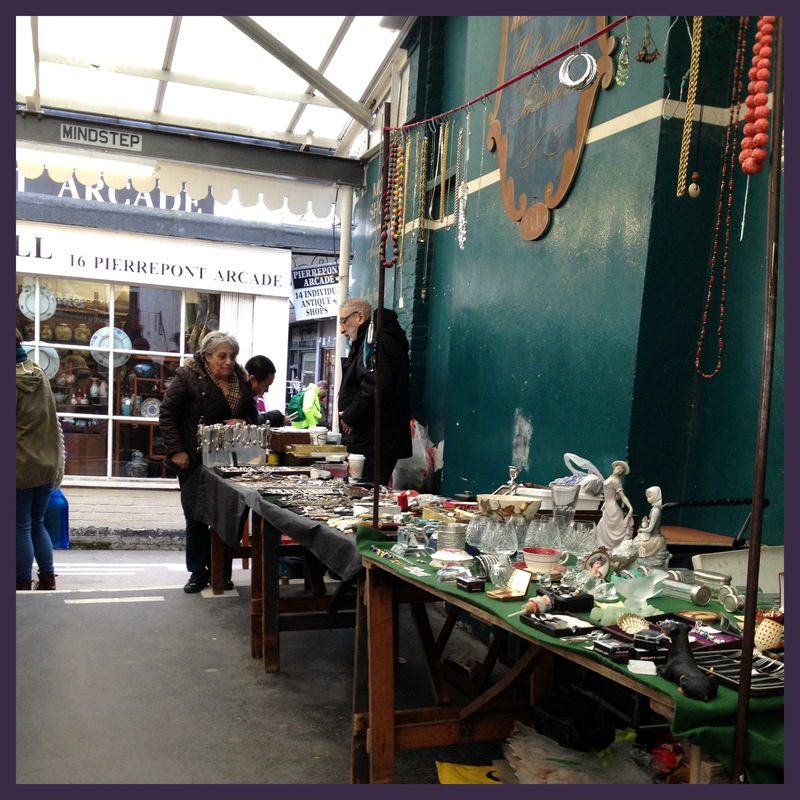 This entry was posted in Uncategorized and tagged Angel, antiques market, Camden Passage, Canadian, Greek, London, Pret a Manger on February 17, 2013 by CatherineTs. I have a thing for love locks. You know, the padlocks that couples with stars in their eyes attach to bridges or fences or unsuspecting wildlife, throwing away the key with a promise of everlasting love. These locks inspire surprisingly heated debate, with some residents in cities where they’ve popped up claiming that they’re ugly, or a silly idea, or even, in one case, a fungus. But I say, Scrooges begone! Who cares if many of the couples securing their locks might not make it to forever, or even past their current holiday getaway (Paris in the rain isn’t as romantic as it sounds when your toes are swimming in cold shoe-puddles). The point is that each of those locks represents a moment in time, however brief, when two people were happy or hopeful or in love or all three. What else could be so worth commemorating? I paid my respects to the love locks on the Pont des Arts in Paris last year, and hope to visit the ones on Luzhkov Bridge in Moscow next month (these are nestled on their very own metal love trees!!) I recently came across a post by the Little London Observationist about love locks on a fence across from Shoreditch High Street station and got really excited, but before I could even make it over there to check, I came across the above display smack dab in the middle of Covent Garden. Turns out these are here for a short time only, courtesy of the British Heart Foundation, promoting a ‘healthy heart’ on Valentine’s Day. Grab your lover, your friends, or one of those raucous street entertainers (never in short supply) and lock one of your own (though I can’t imagine where you’d throw away the key, considering the Thames flows nowhere near the piazza). And then go eat some chocolate. Good for the heart! Happy Valentine’s Day from London! 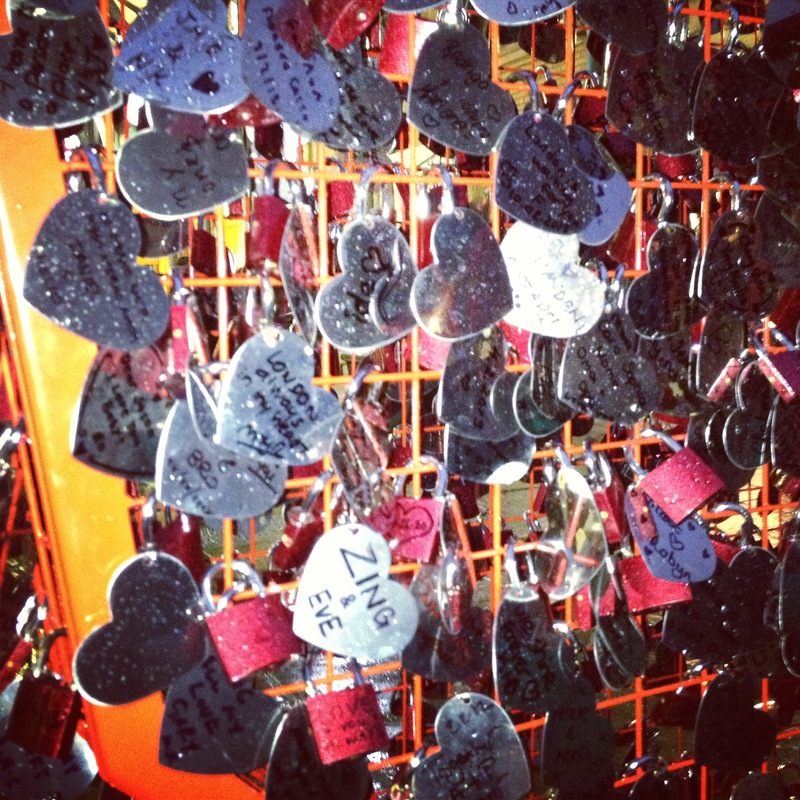 This entry was posted in Uncategorized and tagged Covent Garden, London, love locks, Luzhkov Bridge, Pont des Arts, Valentine's Day on February 14, 2013 by CatherineTs. Last week I had the good fortune of stumbling across a post by The Londonist listing a free (free!!) 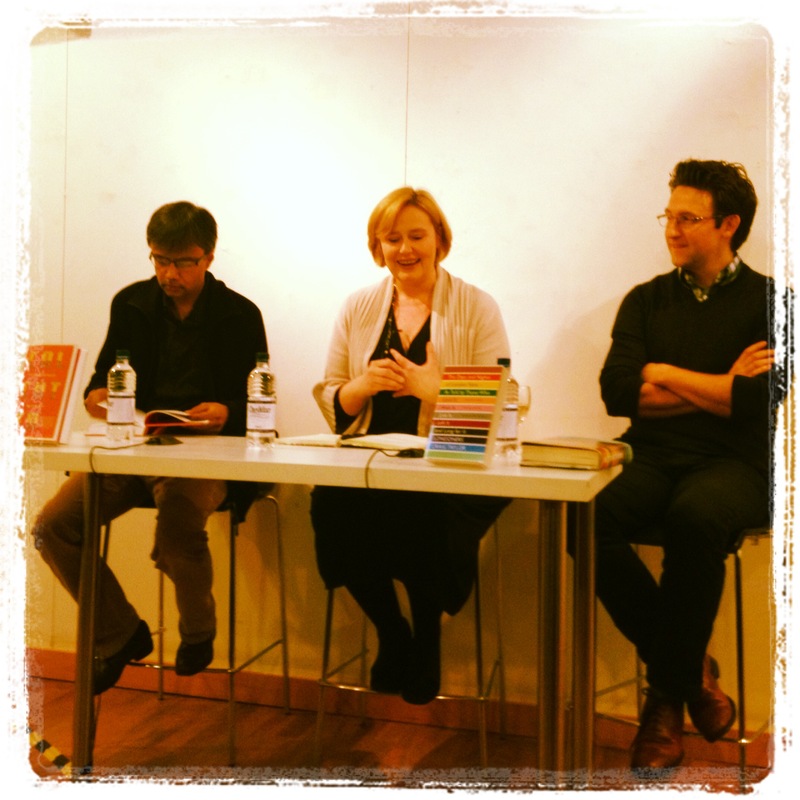 event hosted by the Foyles on Charing Cross Road: Amit Chaudhuri and Craig Taylor in conversation with Alex Clark. 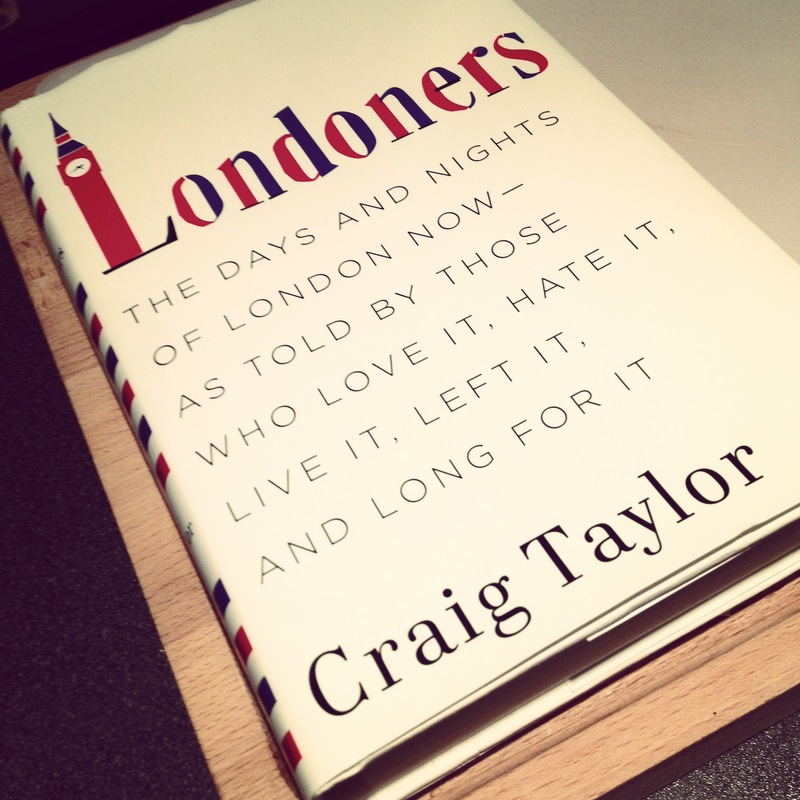 Craig Taylor, for those of you who aren’t fangirls, is the Canadian author of Londoners: The Days and Nights of London Now – As Told by Those who Love It, Hate It, Live It, Left It, and Long for It. I asked for it for Christmas last year and have been extolling its virtues to anyone who will listen ever since. So naturally I jumped at the chance to hear the man behind the work, and dragged a couple of Canadian friends to the third floor Foyles gallery this evening to see him (and Amit Chaudhuri of course, who was brilliant and evocative in his own way, reading aloud from his book about Calcutta – see more here). This is the first book I’d recommend to anyone living here, partly because of the way you’ll relate – you’ll recognize a bit of yourself in the various stories, and there’s something neat about being part of a shared experience. But perhaps more importantly, you’ll find yourself noticing your fellow Londoners more, instead of waltzing on past. I think just that bit harder, when I walk by a street cleaner or a rickshaw driver on the way to work, and wonder how their thoughts compare to their counterparts in the book. After all that, Craig admits he still hasn’t really figured out what it is, exactly, that makes up a Londoner (fair enough – tall order for anyone). He offered some wisdom on writing about places: all books on cities are failures, because there is no possible way one could truly paint a full picture. But he finds this liberating, and I’m taking this as encouraging news for all city bloggers out there! We got to chat with Craig for a couple of minutes at the end, and it was lovely that someone who has created something so beautiful and poignant was so quick to laugh and down-to-earth. He says London is pretty much home now, and that while he misses his family in Canada, he talks to them practically every day (which I take as evidence that I was SO WRONGLY made fun of in grad school for doing the same thing). After we mentioned that we went to university in Toronto, Craig smiled knowingly and said something along the lines of “Ah…the Brunswick House”. This is hilarious for reasons only known to Torontonians, so for anyone else I’m afraid you may have to wait until THAT book gets written to figure it out 😉 Now if you’ll excuse me…gotta go call my mother. This entry was posted in Uncategorized and tagged Amit Chaudhuri, authors, books, Canadian, Craig Taylor, Foyle's, London on February 12, 2013 by CatherineTs. A blog of my own! Though I moved to London from Toronto more than 3 years ago, I’m subscribing to the ‘better late than never’ school of thought (perhaps something I should’ve done ages ago, but hey, I’m here now). This will be a bit of an exercise in writing for me, and a way to export snippets of my life here back to those at home. That’s the thing with this city – there’s always something exciting or quirky or beautiful to share (tired of London, tired of…well, you know the drill). In my mind, I keep track of everyone’s whereabouts using an imaginary map with a multitude of little pins on it, each representing the locations of more and more friends making their way in the world. The further away we get from university graduation, the more cluttered that map becomes. I think the single best part of having such a wanderlust-bitten cohort are the windows I get to peer into, standing on metaphorical ladders made of writings, photographs, status updates and, when I’m lucky, animated narratives in person, while the older gentleman at the next table cringes at the sheer volume of our conversation (not that this has happened to me, obviously). I hope this will be my addition to these shared accounts. 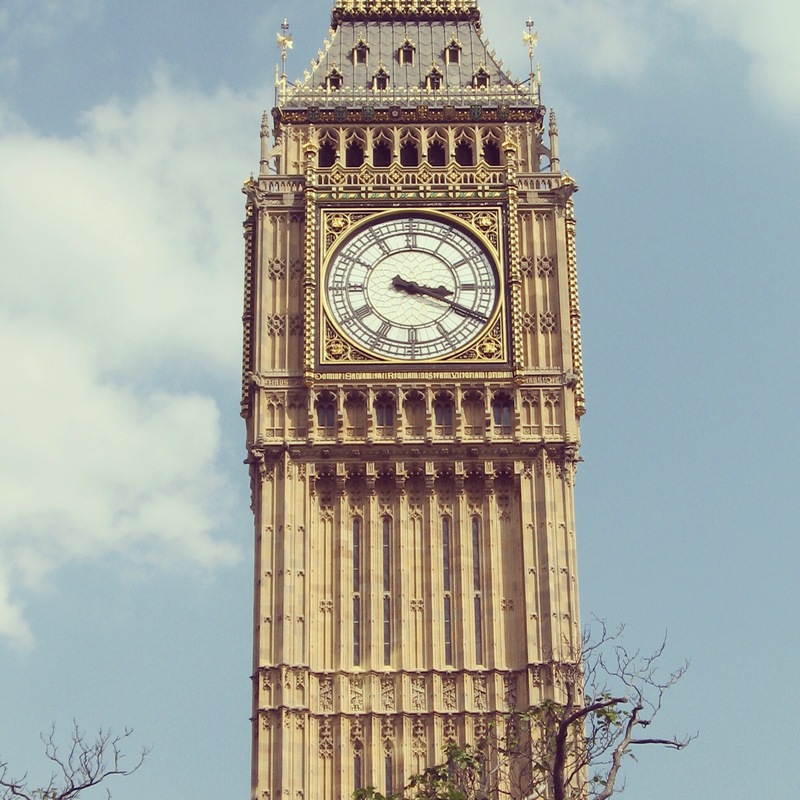 To paraphrase that wealth of middle school wisdom, Savage Garden – I knew I loved London before I met it. We clicked at once, and its frenetic energy, its magnificent streets and its fascinating people have kept me hooked ever since. It introduced me to countless wonderful new friends, and somehow, with its magnetic pull, made sure that a surprising number of loved ones from back home made it across the pond, whether it be for a day or to live as well. Back from the Christmas holidays with a crisp new UK visa in my passport, it’s safe to say there are further adventures yet to come. Hope to keep you updated as often as I can, with what’s been going on in London lately. And of course, would love to hear your thoughts – thanks for visiting! This entry was posted in Uncategorized and tagged Canadian, London on February 10, 2013 by CatherineTs.